It contains a rotating celestial map (Planisphere). 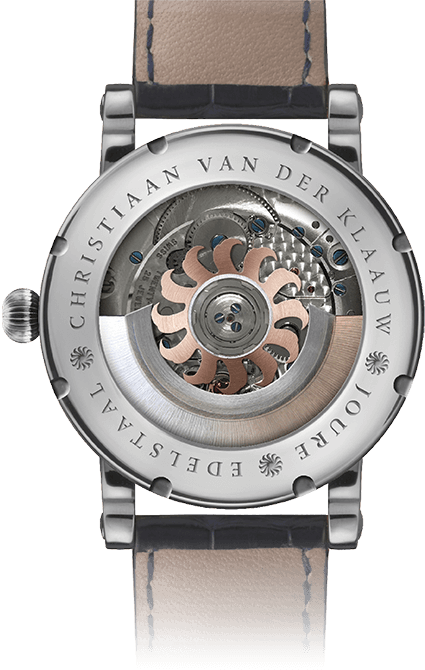 MovementCVDK1072, automatic winding, 25 jewels, power-reserve; 42 hour max., complication; CVDK Orion module. 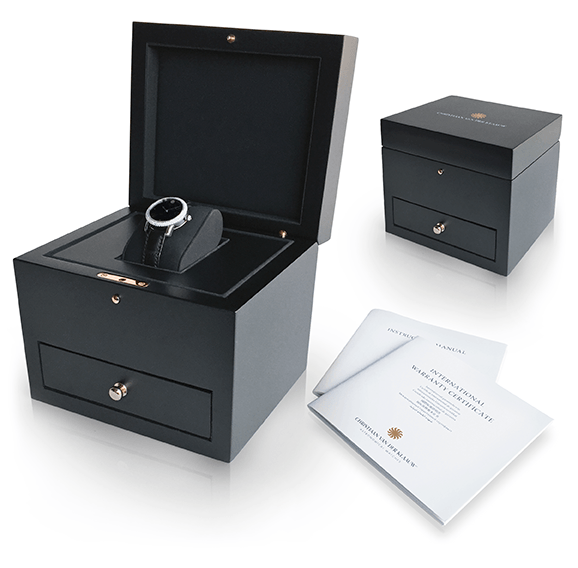 FunctionsHours, minutes, seconds, complication; rotating celestial map (Planisphere) with Zodiac sign indicator. DialSilver with blue celestial map and blue indexes. 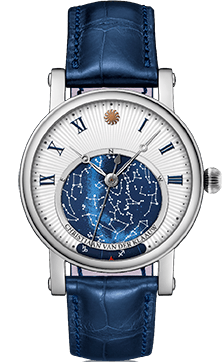 The Orion is a striking example of the way we have been integrating astronomical complications and design. It is equipped with a so-called planisphere, a rotating starry sky that turns around every 23 hours, 56 minutes and 4,0916 seconds, giving you the correct view of the stars and constellations above you as seen from most positions on the northern hemisphere. 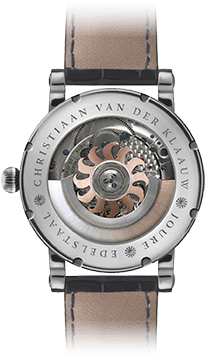 The rotor is based on the ‘Sun with Claws’, the logo of Christiaan van der Klaauw.